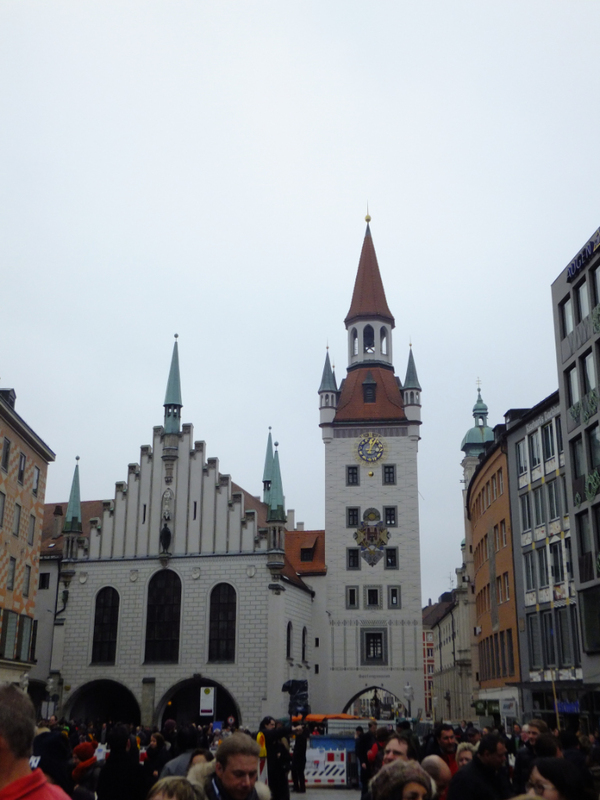 A short flight took us from a cold, slightly snowy UK to a cold, slightly snowy Munich. 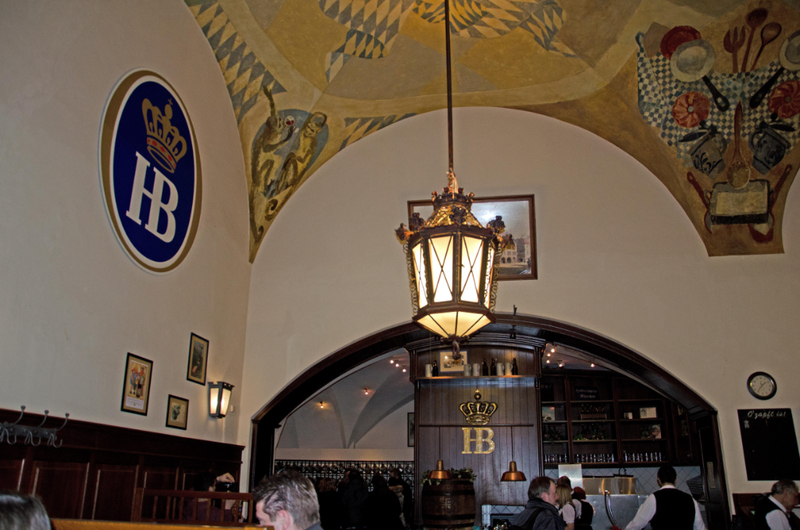 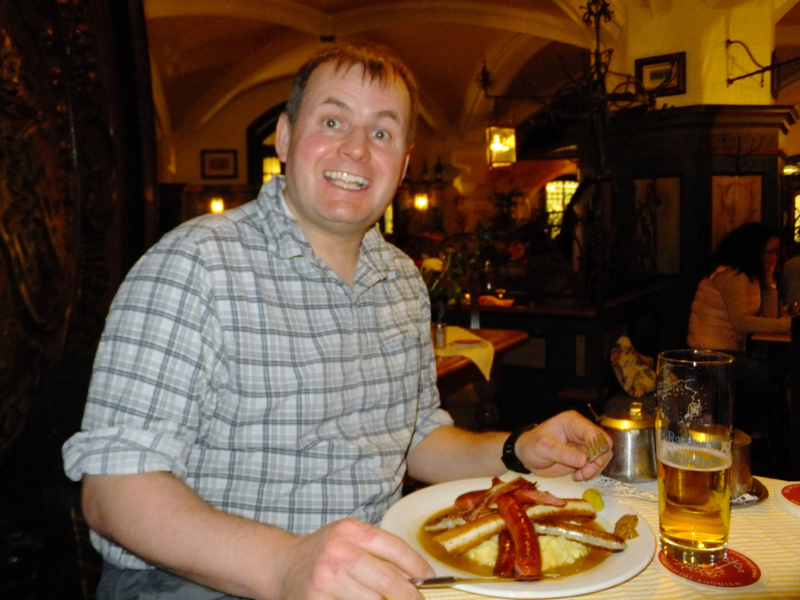 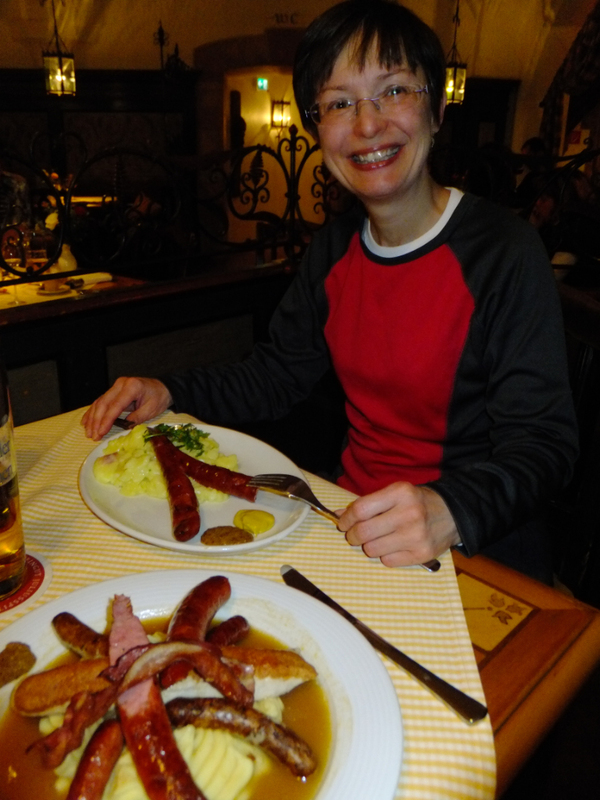 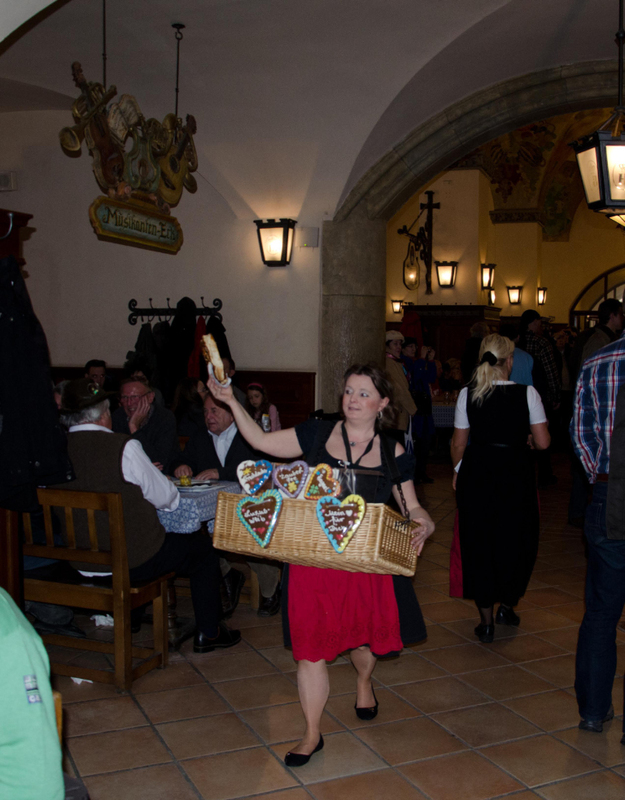 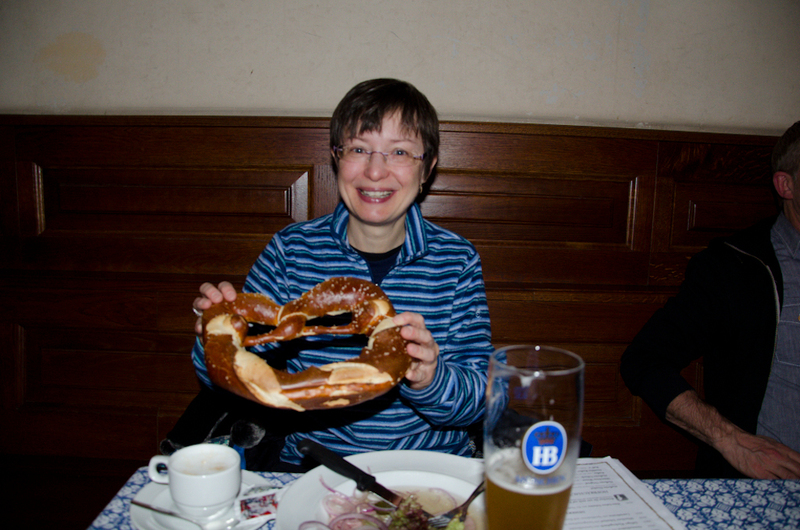 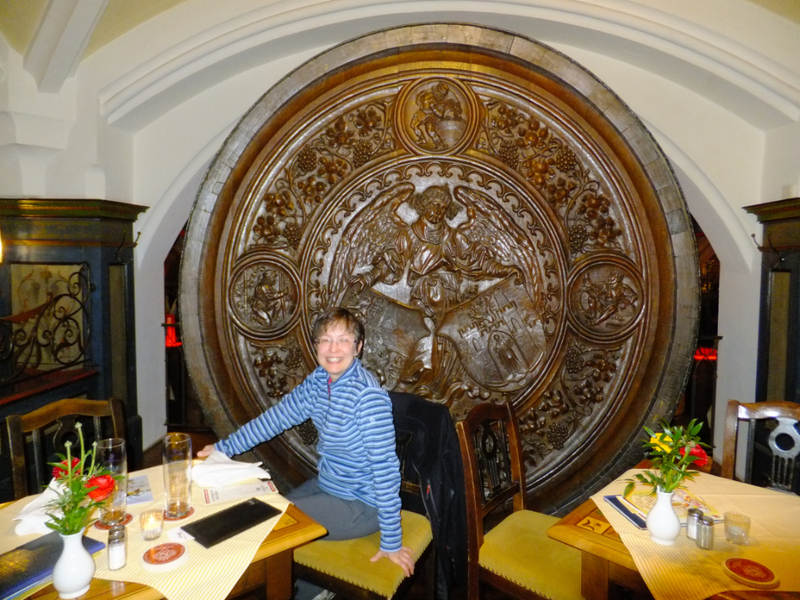 We touched down at seven PM and our bag was the very last off the plane, but undaunted we headed to the Ratskeller for sausages. 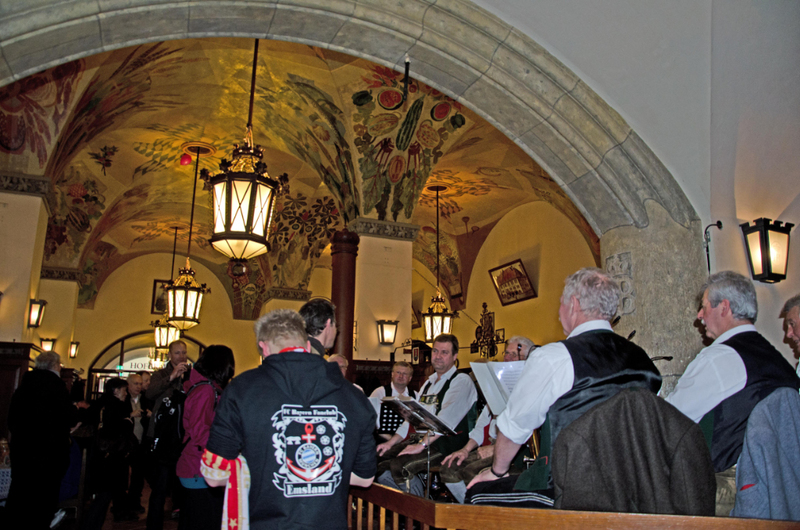 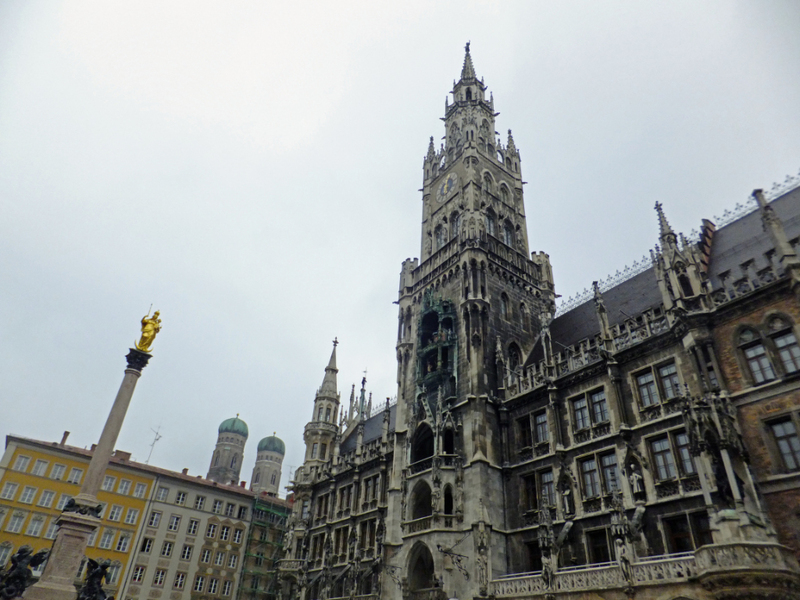 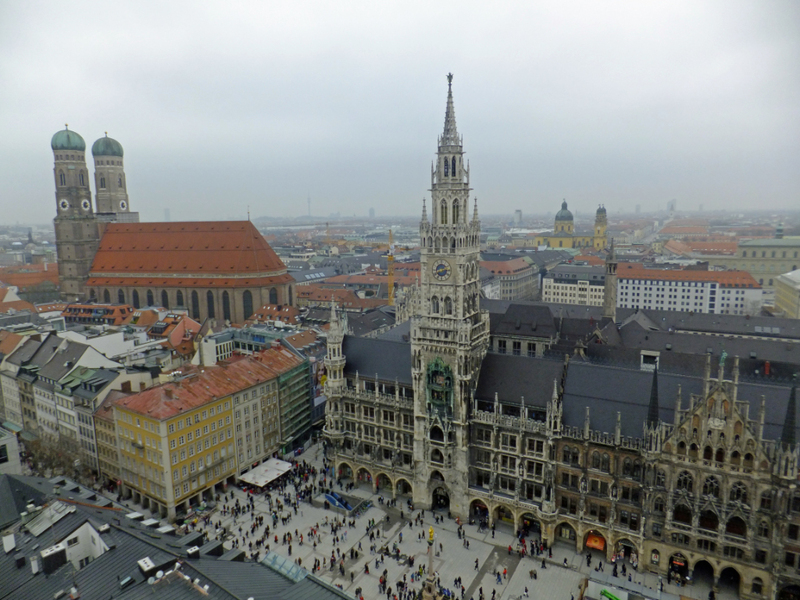 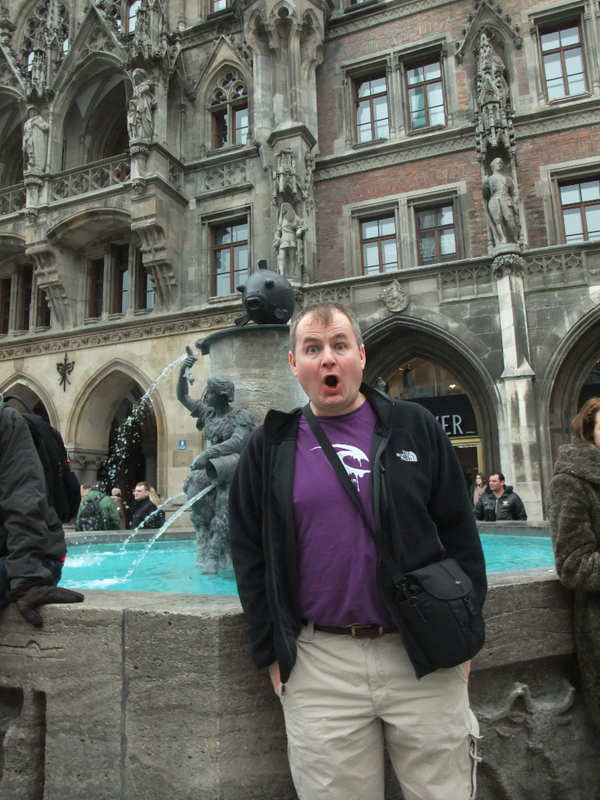 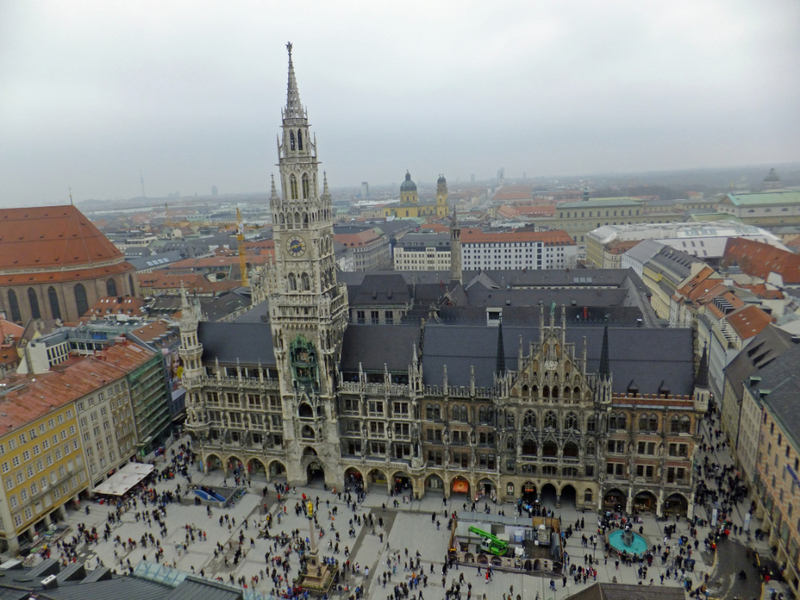 The next morning we took the S-Bahn back 2 stops to Marienplatz in the heart of the city, just in time for the midday Glockenspiel clock chiming and re-enactment in the Neues Rathaus. 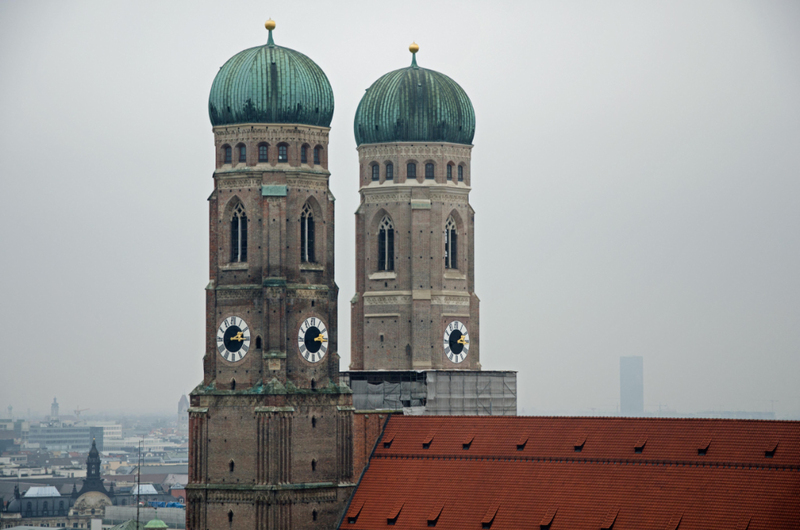 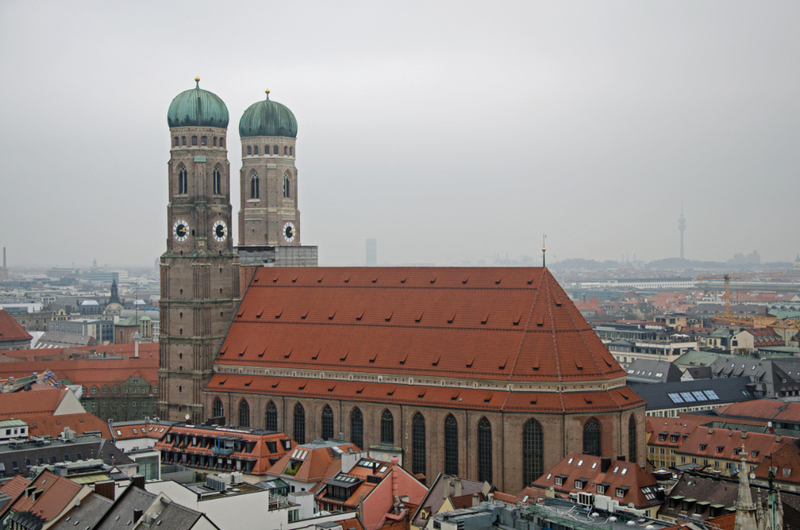 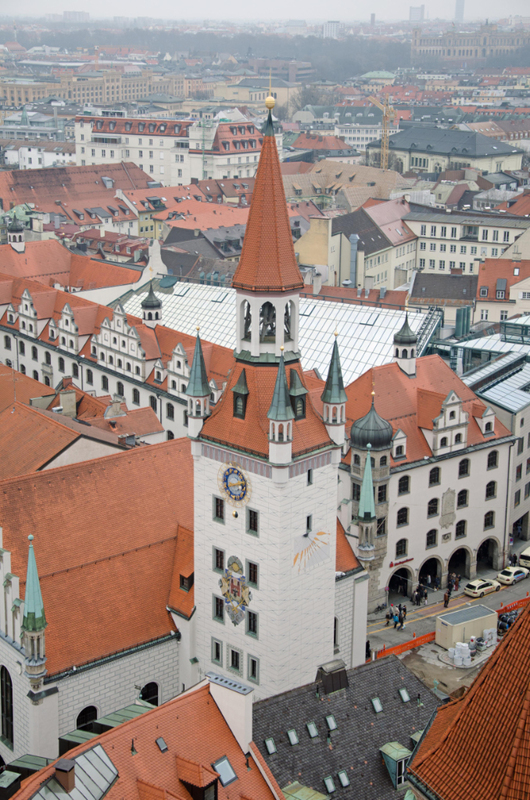 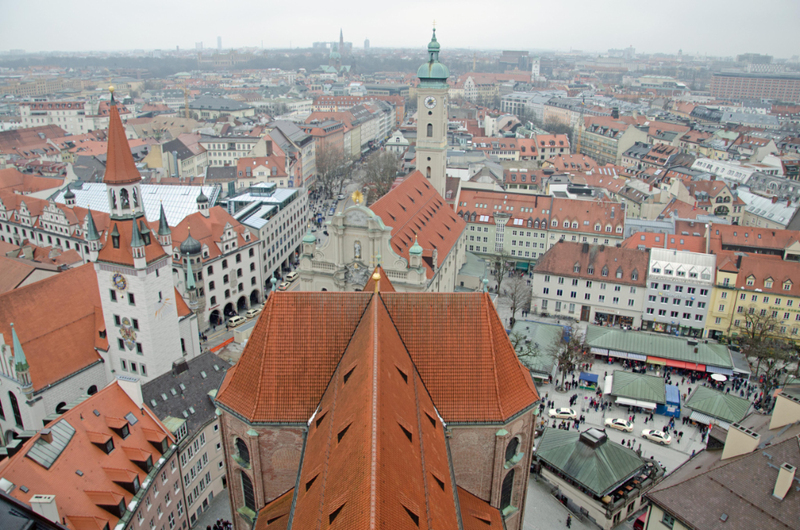 Suitably fortified we headed back to St Peter's Church tower known as Old Peter (Alter Peter) to climb the 13 or 14 flights of tight stone and wooden steps to the narrow balcony overlooking the centre of Munich.